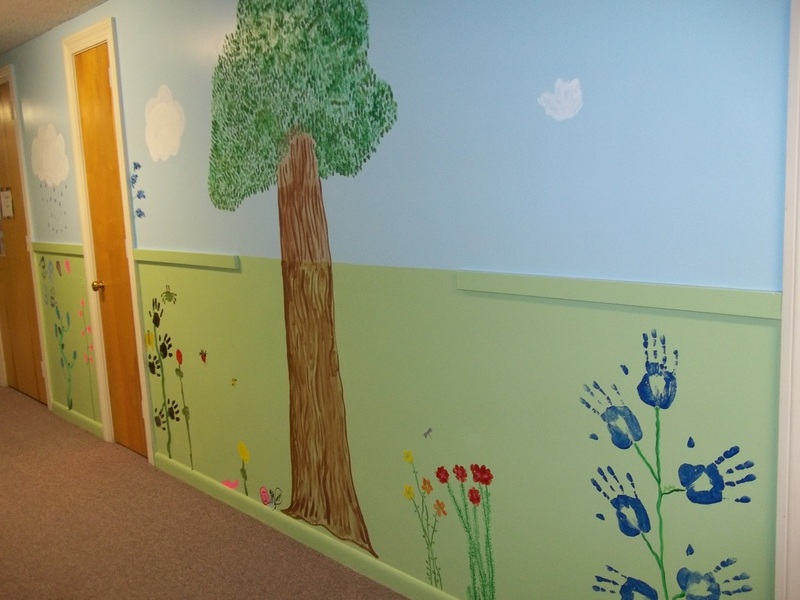 Our church school for children in grades 1 - 5 is called God's Garden: where the seeds of faith are sown and nurtured. We use the workshop rotation model. 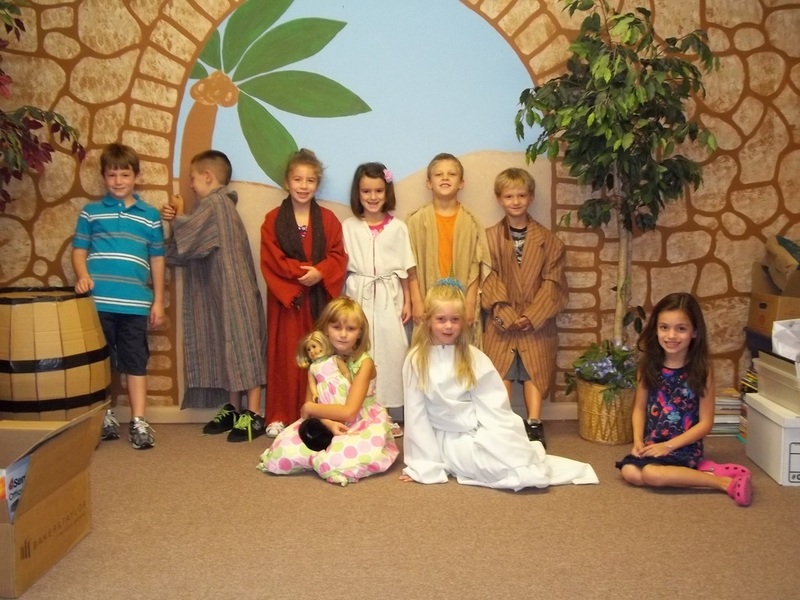 Children will experience a Bible story over 3 or 4 weeks in different ways. The majority of the workshops are located on the 3rd floor of the education wing. 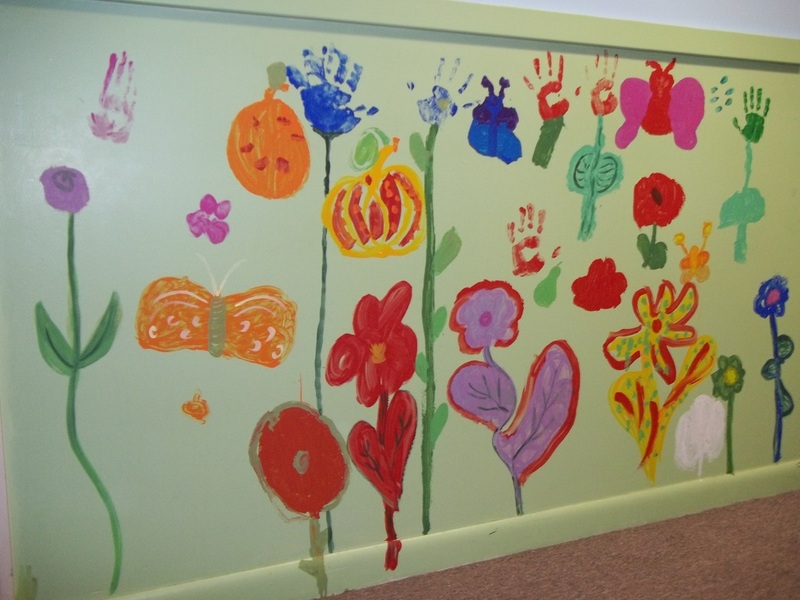 Children and volunteers created a garden mural in 2002 in the 3rd floor hallway. 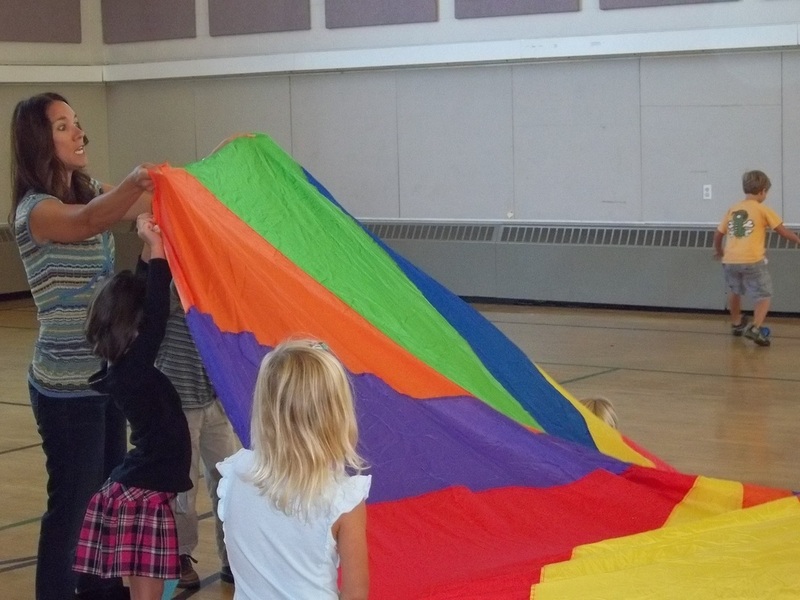 A class plays games that reinforce the Bible story in the Moved by the Spirit workshop. 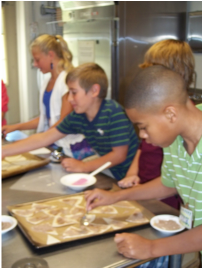 Children have fun cooking and baking recipes that reinforce the Bible story in the Fruits of the Spirit Cafe workshop. 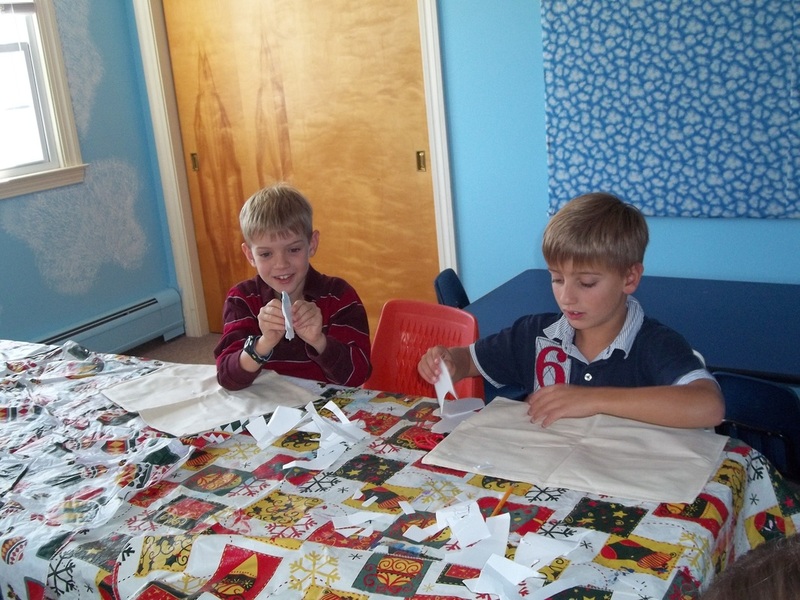 Acting out skits is a common occurrence in the Temple Tales drama and puppetry workshop. 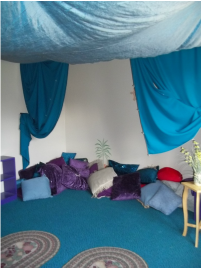 God's Canopy is a favorite spot for storytelling and for watching performances by other classes. 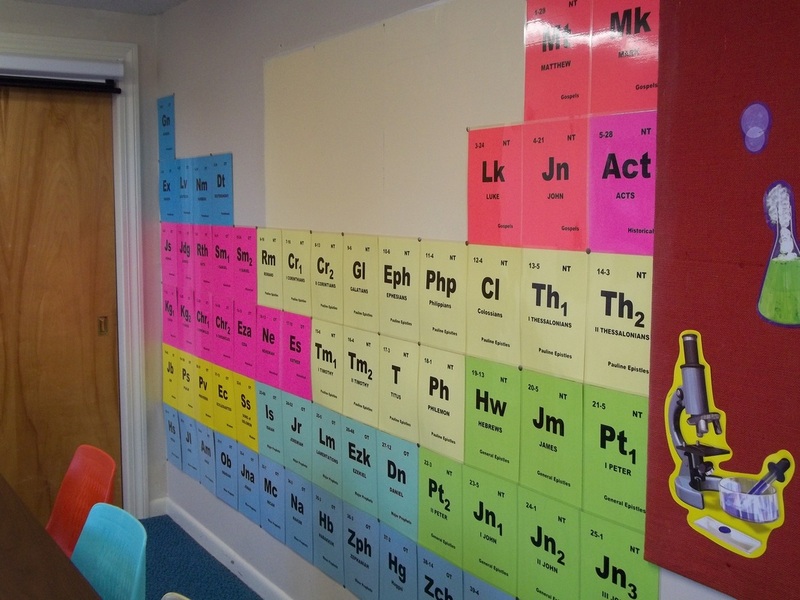 The Books of the Bible table of elements decorates a wall in our Discovering God's World science workshop. 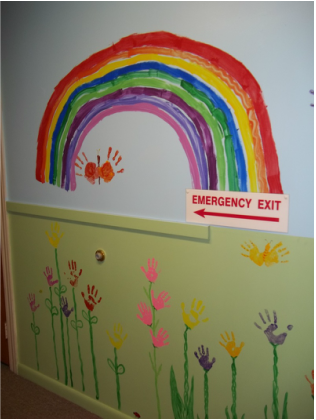 In the Created by the Spirit art workshop, children either make a craft reminder of the Bible story to take home or create an item to be given away as a service to others.